This is a welded iron ring, plated in brass. Ideal for handbags, horse tack etc. Internal diameter is 25mm (1") and the external size is 32mm, which is 1 1/4". 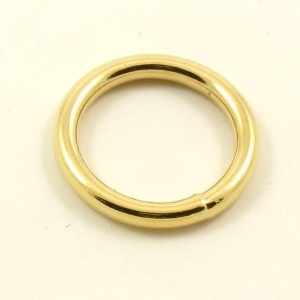 O Ring Brass Plated Steel 32mm 1 1/4"
O Ring Brass Plated Steel 38mm 1 1/2"